Thursday April 11, 2019-Machakos County Governor, Dr. Alfred Mutua, has proposed that corruption studies be included in the country’s learning curriculum if we have to eradicate graft in Kenya. Speaking in Mombasa on Tuesday when he met Teachers from the Eastern region, Governor Mutua said the move will help in the fight against corruption. He noted that corruption should be a component of the syllabus and taught from standard 1 to the doctorate level. The Maendeleo Chap Chap party leader further said that for the country to sustain the war against graft, it has to create a society that is morally averse to graft. 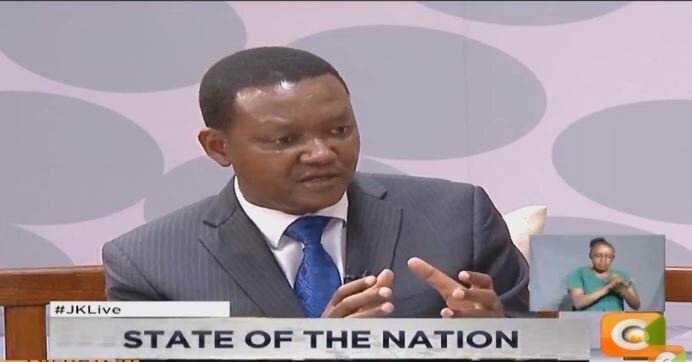 According to Mutua, graft will be easily tamed if young Kenyans are educated and sensitized starting from the lowest level of schooling. “Our students should be primed to reject and vehemently fight graft. They should grow up hating and not admiring fruits of corruption,” Mutua said. “They (students) should understand and know from an earlier age that corruption is like poison,” he added.